Cybercrime has grown into a massive threat to every company these days. The number of crimes increases on an annual basis exposing large volumes of sensitive data. Such “threat” is not just restricted to corporates, but also individuals who take cybersecurity lightly. Cybersecurity Ventures predicated, Cybercrime will cost the world $6 trillion annually by 2021. In fact, 2017 experienced some of the worst data breaches ever like, Yahoo breach, Wanna Cry, Vault 7, Equifax and many others. Financial credentials were breached during these cybersecurity gaffes. To add to our woes, Symantec estimates that the Mobile Malware will increase by 54% in the coming years. The time has arrived for every enterprise as well as individual to secure their data from being intercepted. If your site collects and stores user’s personal and financial or sensitive data, here are some of the Cybersecurity best practices that you can adapt to safeguard end users, customers and employees data in 2018. Artificial Intelligence and machine learning are making sweeping changes across several industries and cybersecurity is no exception to it. AI and machine learning are different from one another, but both of them go hand in hand in fighting the single biggest menace of cybersecurity. Machine learning is a branch in Artificial Intelligence which refers to technologies that enable computers to learn through experience and patterns. In fact, it has several applications in combating cybersecurity threats. When research was conducted among the IT managers titled “The federal cyber AI IQ test”, 46% of respondents see cybersecurity as the excellent opportunity for Artificial Intelligence. AI helps the organizations in detecting, analyzing and defending attacks and protecting data from sophisticated hackers. One best example of AI and machine learning is the Master Card’s Decision intelligence, it is a machine learning technology used to increase approvals for genuine online transactions and improve online consumer shopping experience. Artificial Intelligence and machine learning technology implemented in online businesses to reduce fraud and introduced as an innovative cybersecurity measure to outpace cybersecurity criminals. GDPR (General Data Protection Regulation) guidelines enforced by the European Union on 25 May 2018 for protecting data of consumers in Europe. If your business collecting personal data from users, then you cannot ignore GDPR. When GDPR enforced into action, some bigwigs like Google and Facebook ended up being charged with fines to the tune of $8.8 billion and more upon violation of GDPR law. Similarly, every online business, which is not complying with GDPR will also face the brunt of heavy which amount as large as 4% of the company’s annual global revenue. Ensuring GDPR compliance will put your business data practices on the good books of EU, in which company has to declare to users about how they use their personal data, ask their permission before gathering it. GDPR compliance would not only save the business from fines but will also boost brand image in the minds of customers. A User can remove their data from the company’s servers at any time. You can obtain low-priced SSL certificate to secure your users’ connections to your website. So, having an extra layer of security that will keep the company’s website protected against intruders is a must. SSL is being used by millions of websites to protect online transactions with their customers. 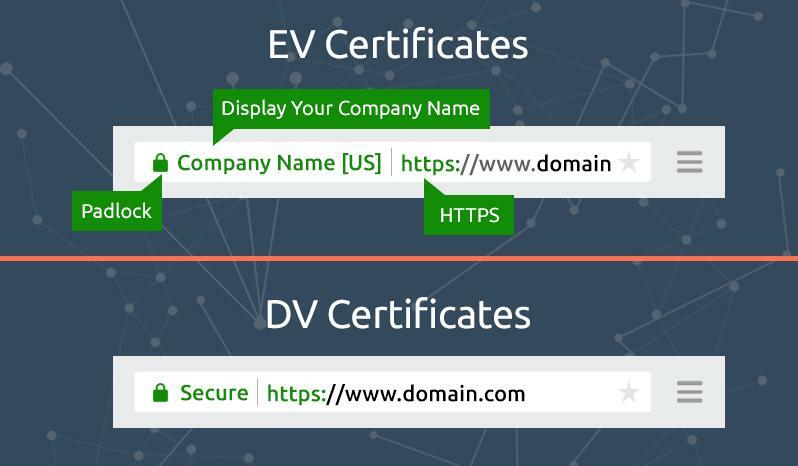 There are different types of SSL certificates based on validation levels and number of secured domains such as Domain Validation, Organization Validation, Extended Validation, Single Domain, Wildcard SSL, and Multi-domain SSL. SSL Certificate issued by recognized Certificate Authority (CA). Think of the SSL certificate as a safety tunnel which ensures safe transit of data. When your website’s connection encrypted with validated SSL certificate, it activates green padlock and site URL begins with https://. If the website secured with Extended Validation (EV) SSL certificate, then trust indicators such as green address bar as well as the name of the company on the right-hand side of browser address bar increases trust and reliability of your website. Organization Validation SSL and Extended Validation SSL requires extensive domain name and company verified using strict validation method. Hence, secure your website using SSL/HTTPS certificate to ensure end user that hacker or third party intruders cannot be able to intercept or steal sensitive data during online transmission. The prime reason why most businesses fall prey to cybercrime is that they do not update their software and systems. The WannaCry outlash which crippled millions of computers across the world was caused because users did not upgrade their operating systems. Software and system updates are rolled out to plug existing security flaws in the previous versions. Regular system updates mean you agree to live with the security flaws and also keep your system open to hackers to have a play. The best practice would be to update software and systems as early as possible. In fact, they will also keep the warranty or cash back guarantee valid. If an online business is serious about to keep end-users data safe, then they need to implement Multi-factor Authentication with more than just two factors to protect online transactions from Identity theft, Password theft, Unauthorized access and many other cyber crimes. MFA is recommended for financial, health and government organizations. Inherence Authentication Factor (something you are i.e Biometrics like user’s fingerprint, face or voice recognition) as verification methods. Multi-factor Authentication requires the end user to provide at least two or more credentials to verify the user identity successfully. Multi-factor authentication is an additional layer of protection created dynamically ensuring that it is known only to the user and not stored anywhere online. If you want to follow the best security practices in 2018, MFA is a must-have. 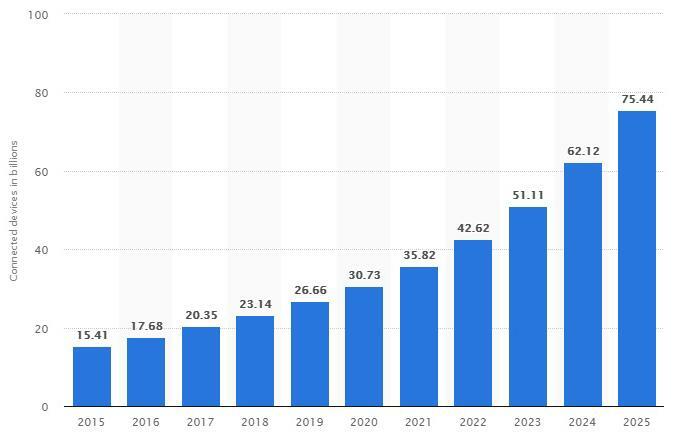 The number of connected devices installed worldwide could touch 31 Billion by 2020 (Statista). In other words, there would be more Internet-connected devices more than human beings. Each of these devices would be owned by users who use it for everything, ranging from monitoring their fitness activity or even to control their home security system. IoT is already on its way to create specific ecosystems of devices that are work in close conjunction with each other. Imagine the tragedy if any one of the devices in the network is compromised and taken over by cybersecurity attackers. It could lead to an apocalypse of an entire ecosystem of connected devices. If the devices are used for specific purposes like urban traffic management, manufacturing plan management, security system monitoring, etc. they could spell disaster of a huge magnitude. Hence, the pressing need to secure IoT devices with strong security protocols. Some proven methods to secure IoT devices include updating the latest firmware for the devices, connecting to secure and encrypted cloud services, tracking device activity on a regular basis, turning off Universal Plug and Play (UPnP), and so on. You can use Blockchain’s approach to control network communications, manage IoT devices and supply chains. Leveraging Blockchain system allows an organization to see data record on decentralized, distributed and immutable digital ledger. Blockchain technology, in its entirety, is also appraised to be a strong contender as a security mechanism that can weed away the shortcomings of existing security tools and protocols. Each addition, deletion or edition to the ledger is recorded and time-stamped in the system. An advanced cryptography mechanism is used to create the chronological records. This in turn proves out to be an excellent way to keep common cybersecurity attacks at bay. Blockchain would specifically prove instrumental in eliminating cybersecurity attack models like DDoS attacks, botnets, malware injections and the likes. The only shortcoming with Blockchain is that, small and medium scale players may not be able to adopt it immediately. It also requires large chunks of data as well as a data-centric organizational culture. Private blockchains with specific purposes are the possible options that businesses have right now. Verizon’s annual Data Breach Investigations Report found that malware-caused ransomware cyber attacks have doubled since last year. Financial gains reign as the supreme motive of attackers. The report lists accommodation, financial, healthcare, IT, manufacturing, retail and several other industries where most of the incidents took place. The worst part is that, it takes hardly minutes to deploy a ransomware attack. Once affected, a system may never able to recover from it, even if the ransom is paid. Even law and administration agencies in the United States are reported to have been inflicted by ransomware attacks. Biometric Authentication is perhaps the only security mechanism that cannot be easily replicated. It remains unique to each individual and hence it is secure as long as the only user who accesses the system. Biometric systems are widely used to secure access to highly-sensitive areas like banks, server rooms, safety lockers, and so on. 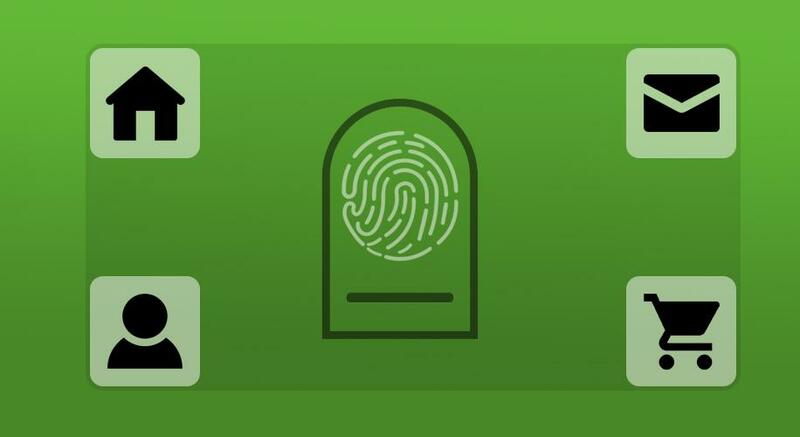 The prime benefits of biometric authentication are that it remains constant for a long period of time, it remains under the ownership of the user, it cannot be stolen and is unique. Time and yet again websites get hacked and exploited by cybercriminals due to poor security measures. Take for instance, WordPress websites. More than one-quarter of the Internet is built on WordPress. As much as its popularity as a preferred CMS platform, WordPress is also infamous for its security vulnerabilities. The technicians at WordPress often release updates and version releases, which unfortunately some users prefer not to update. As a result, they continue to live with the vulnerable website. New-age security tools like SSL certificates can help prevent websites from getting hacked or taken advantage of. SSL certificates are basically encryption programs that scramble information sent and received across the Internet using cryptographic programs. As a result, even if the data falls into the hands of wrongdoers it would prove to be of no use to them. Cybercrime is increasing at an alarming rate. In fact, research has found that at least one business falls prey to cybercrime in every 40 seconds. Even if you have established proper security measures, hackers might find their way around the system and take your data for a while. The need of the hour is to follow best practices that will safeguard organizational data as well as personal data from all possible threats. Remember, you could have followed best practices in the past. But, today, in the current year they could be outdated. You need to continually revisit the measures to ensure that your cybersecurity strategy is a step ahead than the shrewd planning of hackers.